The IAS prelims exam is one of the most awaited exams of this year, which is scheduled to be held on the 18th June 2017. With less than 3% success rate, an IAS prelim is also one of the toughest exams in the country. Now only around few days left for the IAS prelims exam, it is the high time that the IAS aspirants should focus on the IAS prelims exam only and forget about the IAS main exam till 18th June 2017. The IAS notification does not mention the IAS prelims syllabus in detail, but the IAS aspirants need to explore the IAS prelims syllabus in order to get the details of the IAS syllabus. IAS syllabus only gives an outline of the whole syllabus such as the history of India, the geography of India and the likes. Factual information is the basis of the IAS exam as a whole. Without the factual information there cannot be any analysis, discussion, evaluation and hence no opinion can be formed. 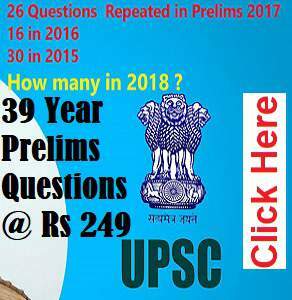 But the UPSC do not ask the factual information directly, the IAS aspirants need to correlate the factual information with its legal, social and economical background so that the validity of the information can be inferred. There are only 50 days left for the IAS prelims exam 2017 and the IAS aspirants need to follow their inner self now. Start with those subjects which make you uncomfortable and practice the questions as much as you can. We can say that “If you want to fly, you have to leave the ground”. It is the peak time for the IAS prelims exam preparation and you must come out of your groove to face the challenge. Just come out of your comfort zone and burn the midnight oil to prepare well. It is not the time to start the NCERT books nor the NIOS or the IGNOU Material. It is the time to revise and practice. The IAS prelims exam will be conducted on 18th June 2017 and the cut-off date for the newspaper should be around 17th may 2017. We are assuming around 20 days in paper setting, printing and transporting. So there is no need to waste enormous time on newspaper after 17 May 2017. But at the same time, a glimpse of a daily newspaper will be required in order to revise the basic issue and events happened in the near past. What can be done now in these 50 days is to revise and interlinking of the concepts through the previous year question paper, model test papers/mock papers, practice papers and the likes. Getting tips from the IAS toppers will not be a bad idea as they can provide some customised ways to cover up the IAS syllabus and sometimes some important points can be deduced from their interview. The candidates should focus on the subject wise questions and the concepts based questions so that they can figure out their problem areas and work on it to improve their performance in the IAS Prelims Exam. The coming time is to revise the Indian polity concepts and use the analysis of the current affairs in order to tackle the tricky questions based on the current events of national and international importance. It is also important to practice the application based question on similar lines as asked in the UPSC IAS prelims exam so that they can understand the microscopic differences between the related concepts. 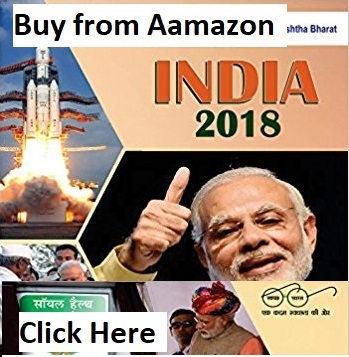 The four most important areas to be focused now are the Indian economy, Indian geography, Indian polity and current affairs, which itself cover the environment and ecology and science and technology. Focus your studies on modern history in order to crack the IAS prelims exam because mainly the Indian freedom struggle topics have been asked and hence should be studied in detail. • The special focus should be given to the Indian freedom struggle, after the arrival of Mahatma Gandhi. • The plans, committees and conferences between the years 1925 to 1946. • All the Congress Party session needs to be memorised with their Presidents and associated important events. • Religions in the Ancient History with the special focus on all about the Buddhism and Jainism. Interior of Earth, earthquakes and the recent occurrence, river and the floods, mountain peaks and their locations, oceans and the seas, ocean currents, mineral producing countries, top five longest rivers and the cities at their banks. Important Mountain ranges of the Continents, major grasslands and types of grasslands, all climate types and their particular features, atmosphere and its components (in detail). Focus on the macro essentials of the Indian economy, the bank rate and their relation with the money flow in the Indian economy. Concepts of the tax system will be very important this year as the new GST bill has been passed, theories related to the inflation, Indian economic development since independence. • Social schemes of the Government have always remained important either for the IAS prelims or the IAS main exam. • Social schemes associated with each sector need to be on the tips of the candidates. • The three funds of India, Official Languages. In addition to the Constitution of India in detail, some recent legislation needs to be focused. The doctrine of basic structure is also very important for the IAS prelims exam. • Study and learn the basic UN Conferences held in the last 25 years with special focus on the Latest UNFCC Conference. • Keep a tab on the basic definitions of the Environment and Ecology and revise them thoroughly so that conceptual clarity will be gained in the revision time. It requires more efforts to learn and understand the features of each and every dance form in India. For example, what makes them peculiar and different from others needs to be understood etc. In addition to it, painting and the architectural forms are also very important for the IAS prelims exam with their application means their examples. Important temples and associated important rituals are also worth studying. The current affairs part of the UPSC IAS syllabus is the most uncertain part of the IAS prelims exam. The horizontal coverage of current affairs is very difficult to cover and with the current trend where each topic is asked in its minute details, the vertical coverage of all the topics is also required. So the preparation of current affairs required a major chunk of time for the IAS prelims exam. At best the candidates should go for the one standard book which should be updated till May 2017 and try to practice the current affairs questions and quizzes as much as you can. The practice of current affairs questions will help the candidates to eliminate the wrong options from the answers and arrive at the right answer. The special focus should be given to the Government initiatives taken for the social sector, infrastructure sector, employment generation and the likes. The IAS aspirants should follow closely the Prime Minister visits to other countries and study the agreements, treaties signed during such visits. In the same way, the foreign dignitaries coming to India are also very important for the exam. 50 days is enough time if you are preparing for this exam from last one year and following the study material and practice questions. If you consolidate your studies now, you can qualify the IAS prelims exam 2017. It is high time that the IAS aspirants should focus on the IAS prelims exam only and forget about the IAS main exam till 18th June 2017. 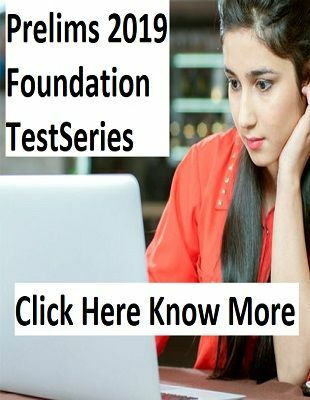 Why to pay hefty amounts for Test Series when you can get more number of tests,comprehensive coverage of syllabus,24 hrs support for doubt resolution with no compromise in quality, without straining your pocket.